As the title suggests, post any Worldwide Semi-Postal here, Thanks!!! On January 30, 1921, Jugoslavia/Yugoslavia issued a set of 3 semi-postal stamps. Each stamp was sold at double face value, the excess being for the benefit of invalid Soldiers. The surtax was to raise funds for Public Utility Works. Scott# B308 - Dave on the Meuse. Here's a semi-postal commemorating skinny-dipping. No, not really skinny-dipping. What we got here is one of the nine semi-postal stamps issued 1 November 1933 depicting operas. These engraved stamps are perforated 13-1/2x13 (five of them also perforated 13-1/2x14)and watermarked with the swastikas (Scott wmk 237). 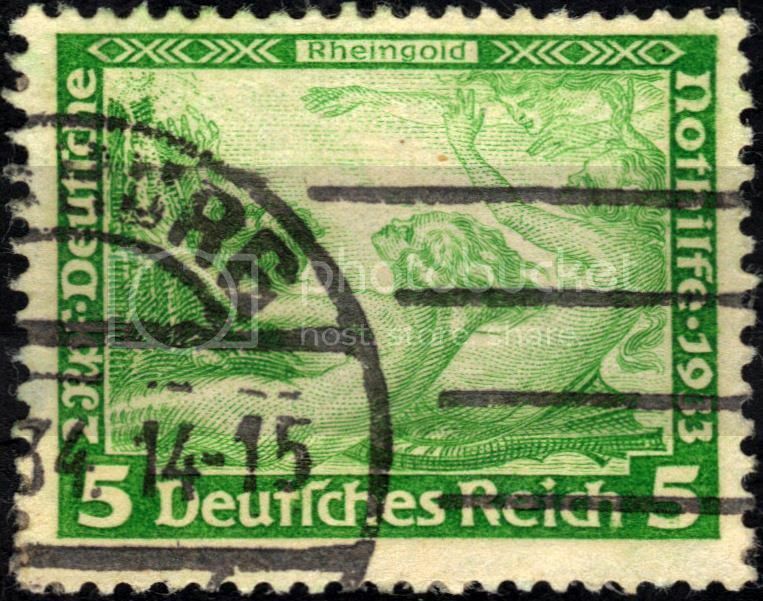 This bright green five-pfennigs plus two-pfennigs stamp shows the swimming ability of Woglinde, Wellgunde and Flosshilde, or otherwise known as the Three Rhinemadens in the opening act of Richard Wagner's opera called "Das Rheingold." The surtax was for charity. PS. I'd give a synapsis of the opera, but there are so many twists and turns that it would make a redneck trailer park seem like a front row pew at a Sunday service. On 1 November 1942 the Dutch postal administration issued two "Legionary" semi-postal stamps with the surtax aiding the Netherlands Legion. Both photogravure stamps depict a stern-faced soldier and printed on circles watermark (Scott wmk 202) paper. The dark red 7-1/2-cent plus 2-1/2-cent stamp is in portrait format with a 12-1/2x12 perforation. This 12-1/2 plus 87-1/2-cent ultramarine stamp in landscape is 12x12-1/2. The red stamps were printed in panes of ten stamps and the ultramarine printed in fours. Only 527,532 singles and 121,211 panes of the higher denominated stamp were printed. The survivors of the Legion were eventually tried in the Netherlands after the war, with many receiving death sentences for their participation. 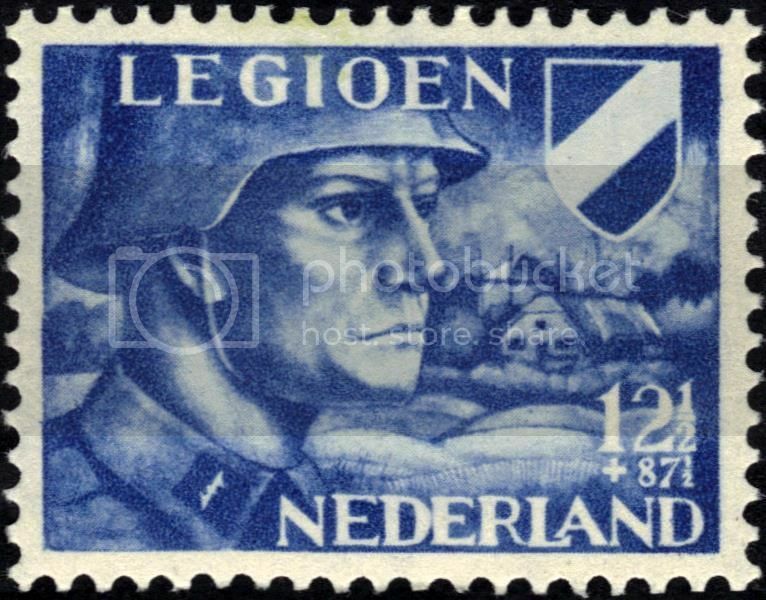 Thus, this stern-looking soldier depicted on the stamp forewarns the dire fate of the Netherlands Legion. Is it a flower or a weed? 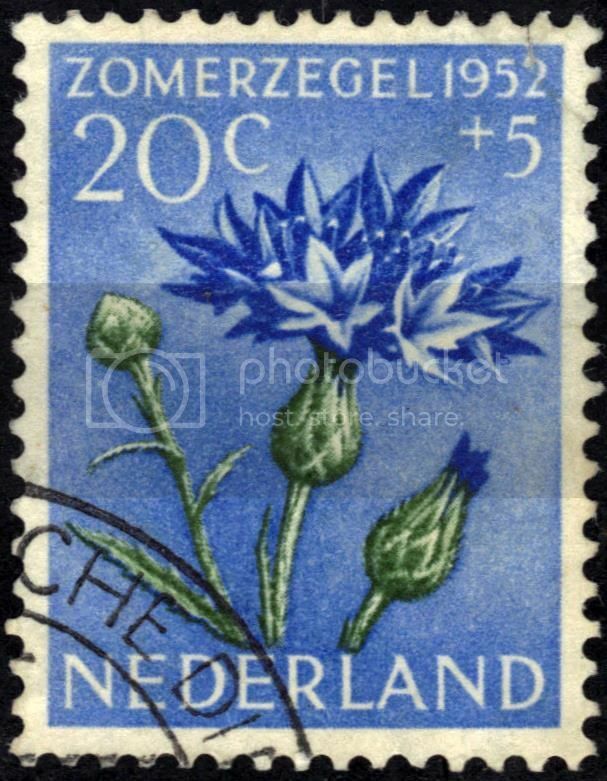 Again, from the Netherlands, a five stamp set (Scott B238-B242) of photogravure semi-postals were issued 1 May 1952 depicting "flowers" with the surtax going towards social, cultural and medical purposes. These stamps are printed on unwatermarked paper and are all perforated 12-1/2x12. The 'flowers" shown on these pieces of paper are the Scotch Rose (2+2-cent), Marsh Marigold (5+3-cent), Tulip (6+4-cent), Ox-eye (10+5-cent), and this 20+5-cent blue and dull green Cornflower. Cornflower, also known as Bachelor's Buttons, is a perennial or annual flowering plant native to Europe and the Americas. It is typically grown as an annual in the United States, although some perennial varieties can be grown in warm climates. Cornflower plants produce bluish-lavender flowers in the late spring and early summer, which are characterized by their fringed, thistle-like appearance. They are popular in cut flower gardens, borders and edging, and wildflower gardens. If allowed to set seed, cornflower will return year after year with only minimal care and maintenance. However, in some places (specifically in Illinois, Wyoming and Tennessee) they are considered invasive weeds. About 5 years ago I saw a cornflower in my field, thought it was really neat and beautiful and showed it to my wife. The next year there were some more, and I was really happy. About year 3 I realized I had a problem when they had started taking over an area of about a thousand square feet. So for the last two years I've been subduing them with weed-&-feed granules, herbicide spray, and lots of mowing. Guess you can add Oregon to that list! Well, given that "semipostal" is part of my email address, I guess I should post a few. Since I'm out of town, these will be ones that I have already posted on Stamp Bears at one time or another in other threads. Eritrea #B11-B16(1926), semipostal to raise funds for the Italian Colonial Institute. 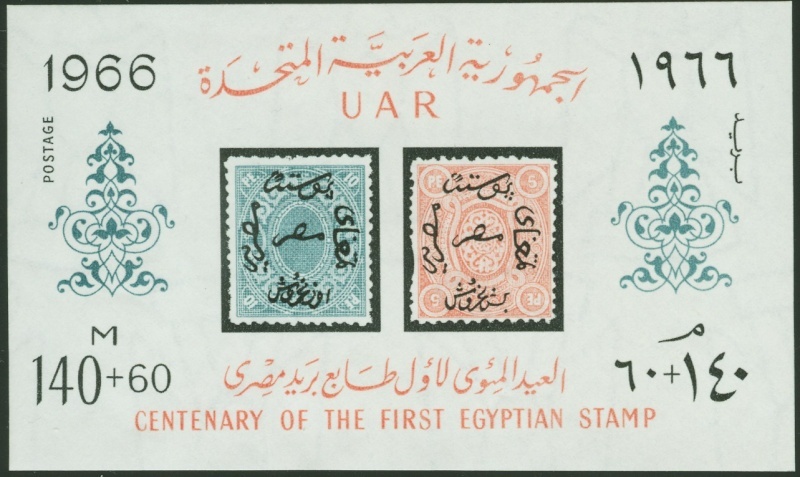 Egypt #B32(2Jan1966), first Egyptian stamp, 100th anniversary. 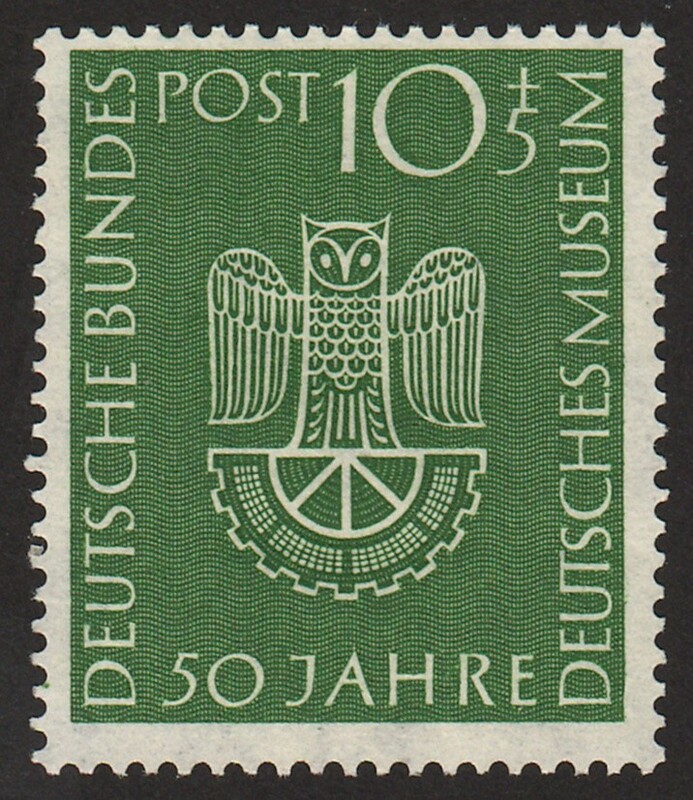 Germany #B331(7May1953), German Museum in Munich, 50th anniversary. I was thinking to myself (and yes, that is dangerous) that this semi-postal stamp looked familiar. I reckon, in this case, I was somewhat correct. Four typography semi-postal stamps (Scott B9-B12) were issued by Romania on 23 March 1906 with this design, denoted in Scott as "Queen as War Nurse." These semi-postal stamps can be found perforated 11-1/2 or, as this one, 13-1/2x11-1/2. All are unwatermarked. The denominations of these four semi-postal stamps are: an orange brown three-bani (plus seven-bani), a blue green five-bani (plus ten-bani), this carmine ten plus ten-bani, and a red violet 15-bani (plus ten-bani). The Queen has a name. It is Elizabeth (no, not that Queen Elizabeth.) Queen Elizabeth of Romania (1843-1916), also known as Elizabeth of Neuwied, was the first Queen of Romania and the wife of Charles I Hollenzolern-Sigmaringen. She was crowned Queen of Romania in 1881 after Romania was proclaimed a kingdom. In the Russo-Turkish War of 1877–1878 she devoted herself to the care of the wounded. Pro Juventute is a charitable foundation in Switzerland established in 1912. It is dedicated to supporting the rights and needs of Swiss children and youth. Lilium martagon is a Eurasian species of lily. It has a widespread native region extending from Portugal east through Europe and Asia as far east as Mongolia. Also it is highly toxic to cats and often leads to renal (kidney) failure if its ingested. Another Pro Juventute stamp, this issued December 1, 1949. Alpine Clematis is a mountain species native to the Alps and the Tatra Mountains, where it can be found climbing into trees and scrambling over large rocks. Its a protected species, so you cannot pick the flowers, break the stems or dig it out of the ground. The first church to occupy the site of St. Stephan's Cathedral was a Romanesque church, which was replaced by a larger Romanesque basilica in 1147. A major fire in 1258 destroyed the basilica and construction on the present Gothic cathedral began in the early 14th century. The cathedral suffered damage during the Turkish siege of 1683 and again in the closing days of World War II, when fire from street-fighting leap to the rooftop. The cathedral was reopened in 1948; the roof was repaired and decorated with ceramic tiles donated by Viennese citizens in 1950. Among the important events that have occurred at St. Stephen's are Mozart's wedding in 1782 and his funeral in December 1791. On December 12, 1946, Austria issued a set of 10 semi-postal stamps. The surtax aided reconstruction of St. Stephens Cathedral.